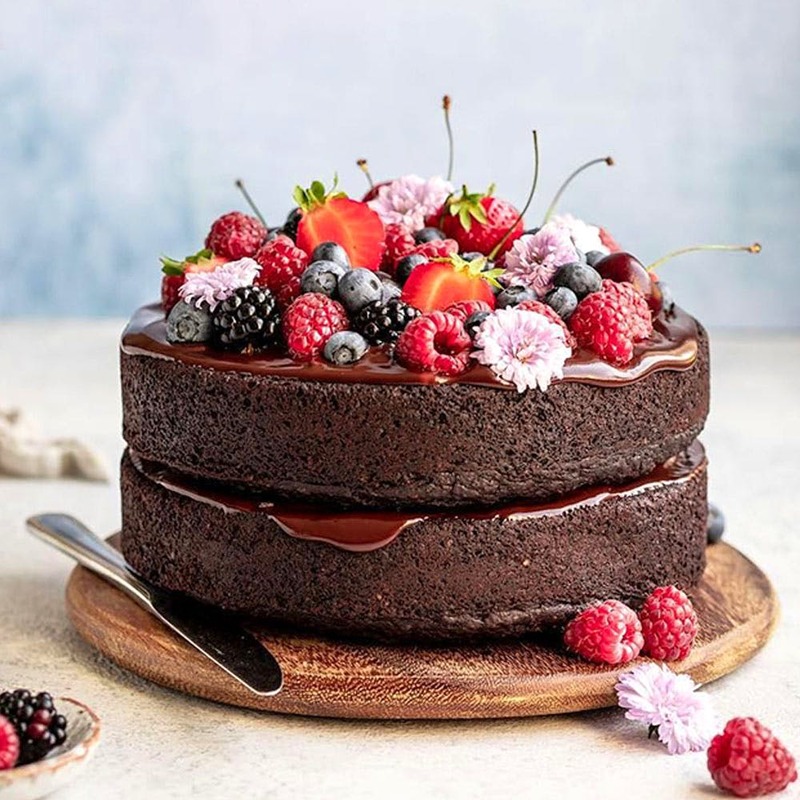 Ever so often, we need a bakery to run to–for last minute birthday cakes, early-bird birthday cakes, the perfect buns, and all other tea-time savoury snacks, (including those awesome tea cakes our mothers made famous). Step aside, home bakers—you know there’s nothing quite like an old-school bakery. Here are our top picks. They almost never get it wrong, from their cakes, freshly-baked bread, madeleines and tarts, to their savoury offerings. That said, L’Opera has come under fire a few times for losing the fresh factor, so we recommend always making your purchase in the first half of the day, or better still, place an order and pick it up, so you can be sure of its quality. One of the oldest players in the game (established in 1962), Defence Bakery has many a memory intertwined with it. Defence Bakery has it all—breads, desserts, muffins, cookies, quiches, pizza, kathi rolls, foccacia, hot dogs, and hummus. They get major points for their express bread counter. If you’re feeling lazy, you can order yourself some baked goodness, and they’ll have it delivered straight to your doorstep. Another staple Delhi bakery, Angels in my Kitchen has been spreading its wings to different Delhi neighborhoods, but that doesn’t really matter, since they allow you to shop online. They also do it all—sweet to savory, and everything in between—including a catering division. Also, they’re one of the few bakeries that allow for you to dine-in comfortably. We remember them fondly as Hot Breads, when that tong meant unlimited donuts, sausage in a bun, croissants and a mean pack of miniature dinner rolls. The name might have changed, but don’t underestimate the power of those tongs. Bread and More has only upped their game, retailing a wide variety of dinner rolls, soup sticks, savoury goods, and that good ol’ chocolate-frosted donut, the worthy successor of the Chocolate Whoopie Pie. PS: They also have a special catering division. Okay, they’ve really upped the ante over the last few years, and for that we’re tipping our hats. Head to Maxims for well-priced desserts and very ornate cakes. They do designer cakes on request in case all the flounce don’t cut it. PS: We’ve been loyalists of their footlong for years and nothing can ever replace that. Elma's is a classic, and they seem to have a permanent place in the hearts of the city’s folk. Perhaps because they pioneered the red velvet movement in the city. We, however, love their Victorian Sponge. We owe a special mention to their breakfast menu, comprising freshly-baked croissants, eggs, pancakes and the choice of buying freshly baked oatmeal, wheat germ, daliya, ragi, garlic and multi-grain bread, available at Elma’s. We have to give them points for consistency, not just of their velvety Mango Cheesecake but also in terms of performance–rarely have we heard of a soul who wasn’t pleased after a visit to the aptly named Binge. We love the eggless Oreo cake, the dry Apple Upside Down, the Banana Walnut as well as the savouries like their ready dinner rolls, soup sticks and pizza bases. Although not an official bakery with a shopfront, SodaBottleOpenerWala in Cyber Hub does bakery items from 11am until stocks last every day. We love it for easy access to Shrewsbury Biscuits, without having to plead with our Pune pals, as well as Ginger Biscuits, English Pound Cake and the famous Parsi wedding special Lagan Nu Custard. There’s also Apple Pie (with custard, of course), Toblerone Mousse and 5-Star Brownie! The Kahlua Mousse cake from Whipped is the stuff of birthday legends, but this bakery isn’t a one-trick pony. They do cheesecakes supremely well, so get yourself a slice of their blueberry specifically. If you’re loyal to chocolate, however, we recommend their Mud Pie. Drop by Whipped (they’re in Defence Colony, Okhla Phase 2, and GK-II), to indulge your sweet tooth. Big Chill can do no wrong and the Cakery is proof. This tiny bakery in Khan Market is always packed with dessert enthusiasts and it’s not hard to see why. Their display cases are lined with cheesecakes, eclairs, brownies, cakes and cookies, and it looks exactly like our happy place. We’re partial to their ginormous Chocolate Fudge cake with buttercream frosting and the Iced Lemon cookies. Although well known for their shammi kebabs, Wenger’s is one of Delhi’s first and premier bakeries (established in 1926), and not only because it’s in CP. They do it all, from pastries, cakes, novelty dessert, pizzas, bread, pudding, quiches, confectionary, to chocolate, eggless cakes and mousses. One of the few bakeries that still preserve its old-school flavors, they also have a deli, allowing you to enjoy all the sweet and savory (including waffles), from the comfort of their in-dining facilities. Check out their health bar, all you calorie counters (featuring granola bars, french nougat bars etc), but if it’s will power you’re trying to exercise, best not to experiment at Wenger’s. While their desserts and pastries have set the bar very high and speak for themselves, what takes the cake for us, is their snacks that come in takeaway boxes. Be it savoury or sweet, this bakery knows how to deliver on quality and taste. We recommend you try the French Hearts. One of the best things that came out of Gurgaon, probably, this Korean bakery does coffee and cakes just right. This bakery has loyalists swear by it, who keep coming back for their hazelnut coffee, cinnamon rolls, breads, and sandwiches (among a ton of other things). They don't have a specific desserts menu, since they bake everything fresh everyday, but you'll find something new every time you go (which you will, you know it too). This Singapore-based chain opened it's first outlet in Delhi in Select Citywalk last year, and we've been fans ever since. From pastries to dry cakes and fresh breads, they've got some extremely delicious stuff. We say you give it a try, and while you're there, don't forget to have their Japanese cheesecake. Light, airy, and so so good!